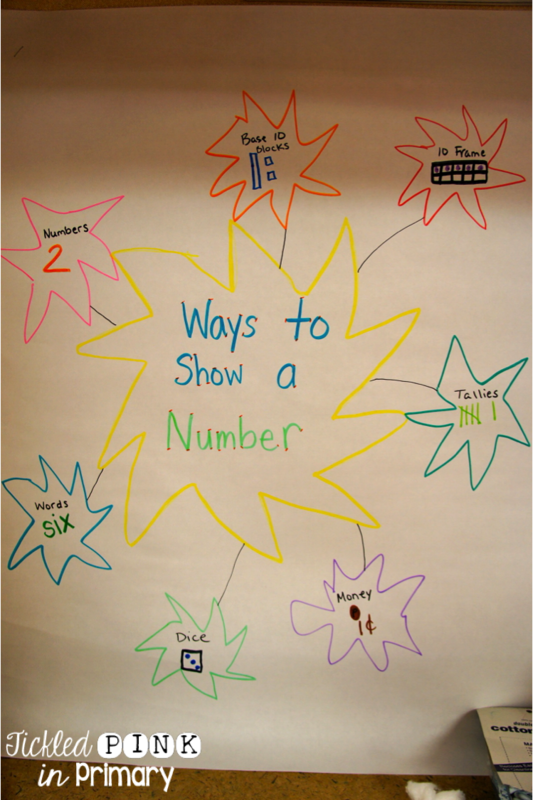 We start off our number sense unit by making an anchor chart that explains how we can represent numbers in many ways. Anchor charts are a great reference for students to refer to when they need help. I just make simple anchor charts, that I whip up with the students. I read once that anchor charts need to be authentic and done in class with the students, not made up ahead of time. This way students follow along with what you are explaining and get to help create the chart with their ideas/examples. Students need a lot of practice with number sense, so they truly understand how numbers work and are related to each other. I created these simple worksheets to have students work on the multiple ways to show a number. I made the worksheets double sided and then put them in sheet protectors to make them dry-erase. They love anything dry-erase!! You can find these worksheets in my store here. I also have a version for numbers 11-20 here! This treasure number sense game has students matching up gold coins that show a variety of ways to represent numbers to the correct treasure box with the number on it. While working with students on number sense, I have students explain how they got their answers to see if they really know how to recognize numbers and relate them to each other without always having to count all of the dots on a dice or ten frame. Students that really grasp this concept should be able to say “I know there are 5 dots on the top of a 10 frame, so I counted 5 then added the 3 more on the bottom row to get 8. This file folder game below can be played 3 different ways. Students can match up the number word, number, or number sets to the correct dog house. Have you ever played Kaboom? My students love it so much, that I keep it in centers all year round. It’s super easy to prepare too! For number sense practice, I put popsicle sticks in a small Pringles can. 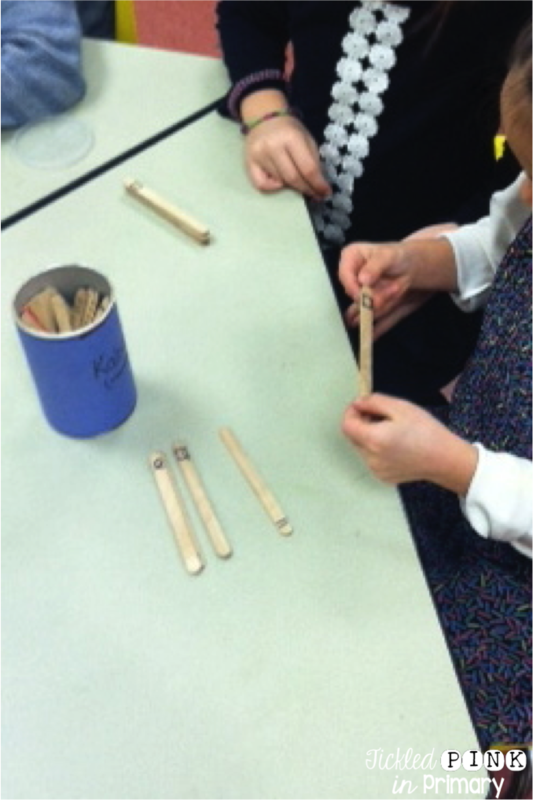 On the popsicle sticks I write numbers, number words, tally marks, dice, etc. The students pick one out at a time and say what number it is, if correct, they can keep it. If they pick the KABOOM stick, they have to return all of their popsicle sticks back to the container. Once you feel that your students really understand number sense, you could do my Number Sense Fluency & Fitness game. It projects number sense skills onto your screen for students to say and every so often an exercise screen comes up to get them moving! It’s a great way to review these skills, but the students think they are getting a brain break! 🙂 Here’s a peek of a few of the Number Sense Fluency & Fitness games in action!